Maria Illescas, the Machine Translation Specialist from SeproTec, is at the University of Bristol today to participate as a speaker at the event entitled “The Use of Machine Translation in Human Translation Workflows”. Maria was invited to this event by its promoter, Lucas Nunes Vieira. Organized by the University of Bristol in collaboration with Pablo de Olavide University and the ITI Western Regional Group, the event hosts a round table that boasts considerable representation from the academic community, translation professionals, and translation and language technology companies. The event will also serve to present the results of the research conducted by Lucas Nunes, as well as to discuss the trends and challenges currently being faced by translators and the translation industry. Apart from participating in the round table with other colleagues who participated in the study, Maria will offer a presentation on the importance of humans in the machine translation process, as well as sharing the company’s experience and good practices in engaging and training our collaborators in post-editing. For SeproTec, training translators in post-editing processes, and accompanying them throughout as they adapt to this new role, is almost as important as training the machine translation engine itself. The link to the event’s website. If you want to send questions to the speakers, access the below platform for audience participation and include the event code #MTBristol when required. 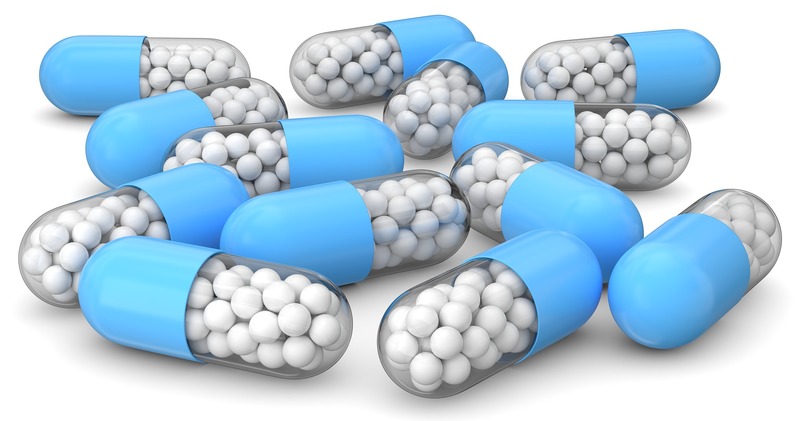 Medications have curative and therapeutic powers in the field of healthcare. In other words, as translators we must be responsible for the important information we are dealing with when translating in the field of medicine. Treatments have a specific purpose and can produce adverse side effects. So, the translator’s job in this context is also linked to promoting health. Our profession has various areas of specialization and the translation of texts on medications is one of those that currently offers the most professional outlets. It also has great potential for the future as health is one of the aims of social well-being. Any patient who is taking a medicine must carefully read the information on the leaflet, since they need to be informed about the product they are going to be taking. For this reason, the translator’s job is to provide this information in easy-to-read language, while still keeping it professional. Our work gives us the satisfaction, not only of using our basic skills to perfection, but also of feeling part of a context as valued and important as medicine, since medications are cures or palliatives that improve people’s quality of life. The power of language is crucial in this sector too! This profession is very demanding due to its importance and its consequences. For this reason, it is essential for an expert to specialize in this sector so as to be able to do the work with the required accuracy. An error in the language used in the text could lead to serious consequences. This specialization is vital, since an expert handles complex data, such as the brand names of pharmaceutical companies, acronyms that must be identified, information on products in different formats, chemical and scientific terminology, etc. For this reason, to do this job responsibly and safely, it is advisable for the translator to have the proper training. If medical and pharmaceutical language is complex in and of itself, it is even worse for those who have no training in this field. This work also involves a cultural knowledge of a particular environment. The translator must have the best possible knowledge of the words and the language used in this medical setting. It is also necessary to be aware that, given this complex terminology, the patients can often have difficulty in understanding all the information in the leaflet on the conditions of use. For this reason, the work of the translator is to be a facilitator, providing comprehensible information on healthcare. SeproTec has offered a high-quality service providing reliable, accurate translations covering all areas of healthcare, pharmaceuticals, and medical devices for over 25 years. The translation team is made up of linguists with wide-ranging experience in the sector and professionals from the medical and/or chemicals sector who specialize in translation. They must all undertake 10 test projects before being approved by the SeproTec team. Our project managers are specialists in all areas of healthcare and in the comprehensive management of all stages of product development, from research and regulatory processes through to marketing and future updates to a medicinal product. We have a great pleasure to introduce the second winner of the Translator of the Month action at SeproTec. As a way to say Thank you! and recognize the efforts of the industry professionals: translators, the driving force behind every translation company’s success, the initiative has been launched in September. Meet Elisa Sanchez del Campo, our November Translator of the Month and read our interview with her. I usually start the day with a warm cup of tea. I enjoy drinking a cup of tea while reading the national and international press. From the beginning of my translation career, I realized that it is essential to be well informed about what is going on in the world as we need to deal with different types of texts which sometimes require a big cultural background in order to provide an accurate translation. When I finished school, I wasn’t quite sure of what I wanted to do. I had always been good at languages but didn’t have enough information about the degree in translation and the future of the profession. Once I had a deeper knowledge of the role of translators and after living in Ireland for a while where I improved my language skills in English, I decided to return to Spain to start the translation degree. To me, the most appealing thing was the possibility of becoming a bridge of understanding between two completely different cultures. What in your opinion are the biggest challenges of the Spanish translation industry? Nowadays, we work in a globalized world in which there is great competition. That is why we must improve constantly our translations skills and keep up to date on all aspects related to our profession. Our greatest challenge is not to be left behind and continue improving every day. Working with the staff. It is always nice to work with Seprotec PMs. Communication is very simple and this makes our job as translators much easier. Seprotec is also involved in many projects related to current affairs that are very interesting because they allow you to be updated with all the latest news in the world. We live in the Information Age. Technology plays an essential role in our lives as translators. Machine translation is one of the challenges of our time. I believe that MT can facilitate the translator’s task, but I think that the current engines are not powerful enough to generate translations of the highest quality that can match human translations.